Is it just me, or does our sweet little butter bean (Meyer, that is!) look a little like her mama? 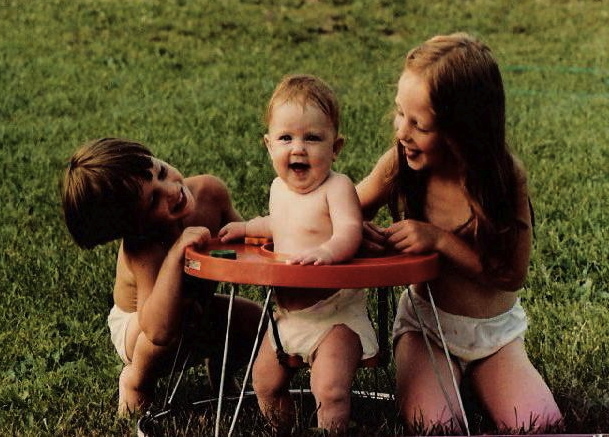 Yep, that’s me and my older sister and brother when I was about 10 months old. What do you think? She totally does! 🙂 I am certain she will grow up just as beautifully too! 🙂 I love the “butter bean”! Yes, identical! How cool 🙂 By the way I am loving your blog’s new look! !